I’m not sure about you, but the reviews of gear I typically find are just about worthless. *Somehow* they always come out just as the product is released, and even when testers get demos, I feel like they rarely put the product through the paces necessary to provide a relevant review. Really? You ran a whopping 30 miles in those shoes, and that qualifies you to regard it as “tested?” My promise to you, loyal reader(s?) is that anything I review will include quantifiable use and won’t regurgitate lines copied out of the product’s description. At any rate, today’s product is Yaktrax. I’ve been using these things on and off for a couple of years. The nice thing is for about $40, you can have good traction on snow and ice, which even when you combine it with a pair of running shoes around $100, still leaves you paying less than what you would for studded running shoes. 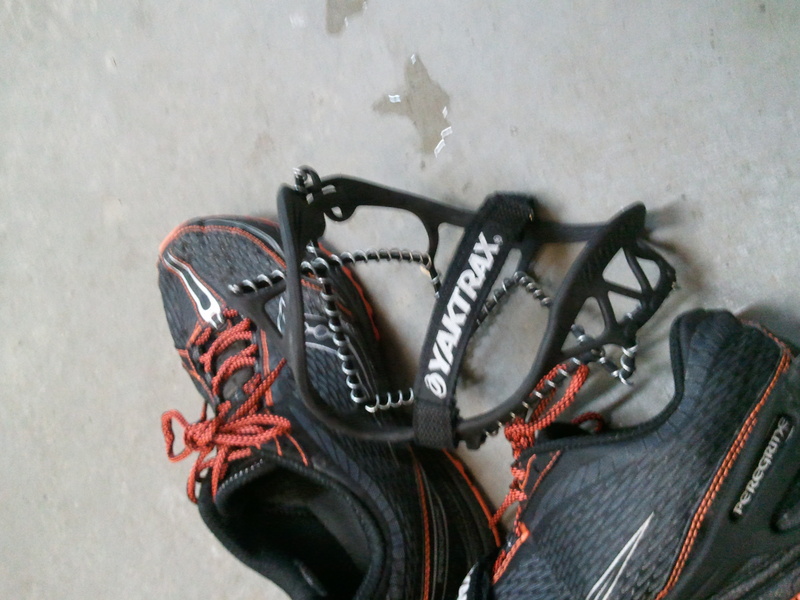 As far as their utility, I’ve put hundreds of miles on Yaktrax (about 500 this winter) and I trust them. It’s been a real AK winter and I’ve run these on -20 to +30, from packed snow to icy trail. The only thing they don’t work on is clear ice for obvious reasons. Unfortunately, I’m going to discontinue using them for one big reason. Durability. See below. As you can see, one of the coils has worn flat, and broken at a point roughly underneath where my big toe would be. Not good. The coils are what keep the stretchy rubber shaped to your foot, so when the structural integrity is gone, you end up with the entire thing tending to stretch all over your foot as you run. I’ve had Yaktrax 50% off a foot in the middle of a run due to coil breakage. Matt, I have had the same issue with my Yak’s walking with Ziggy. 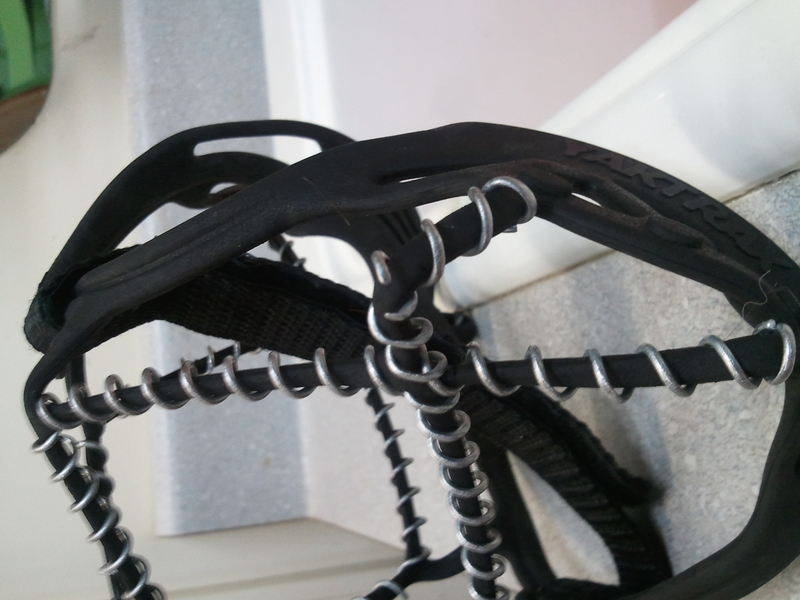 I do not put the same kind of wear and tear on mine but I do end up with the coils breaking half way through the winter. This year I switched to Ice Trekkers, they have a different type of grip on the bottom, more like studs. They seem to grip the ice better, however I am noticing they develop rust, will have to see if this affects their longevity. Alright, it’s not just me then! Check out this DIY guide. Never been a fan of putting screws in my shoes – did it back when I grew up in MN and didn’t feel like I got the same results as Yaktrax. But it’s def. the cost-effective way.